The Heavy-Duty Quadro 3D scanner is a professional scanner, based on structured light technology. Offering shots in blue, green or red light, it can adapt to all room colors and scan dark objects whatever the lighting conditions, even when they are difficult. 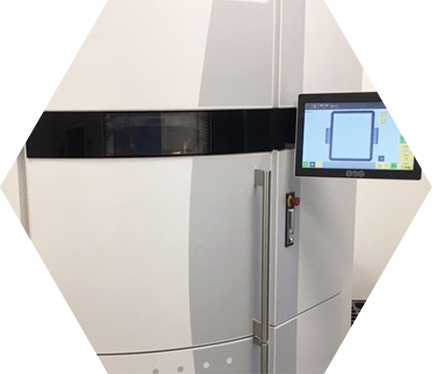 The automatic multi-source thermal control system allows the device to operate in harsh environments and to guarantee perfect repeatability of the results, even in humid, dusty or very hot environments. All Heavy-Duty components are protected in a waterproof and dustproof enclosure (IP62, IP67 optional). Compact, stable and robust, this 3D scanner offers great flexibility of use, and can be easily moved to the operation site. 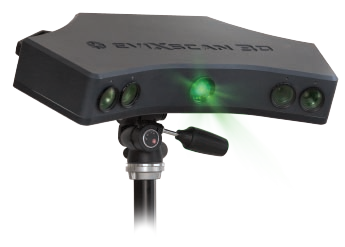 This 3D scanner is equipped with two laser sights for easy and quick adjustment of the distance from the scanner to the part to be scanned. Heavy-Duty has the advantage of having two independent measuring fields that allow you to scan all types of parts with great precision. No complicated manipulation is therefore required: all you have to do is choose the measurement field that suits your application.